Checked another item off of our 'Winter To Do' list this weekend. It was cold, rainy and just a dreary day on Saturday. 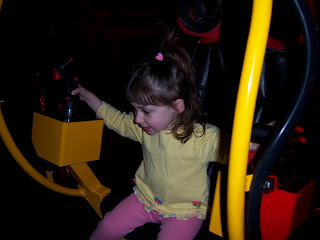 Off we went to D&B to play games. The kids (young and old) had a great time. 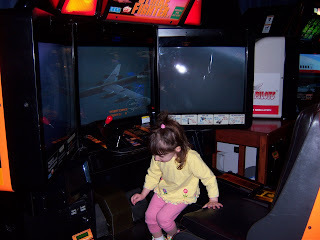 Rebekah did a little "Dance Dance Revolution" before climbing inside the helicopter game. She didn't play the game, but she thought she did. 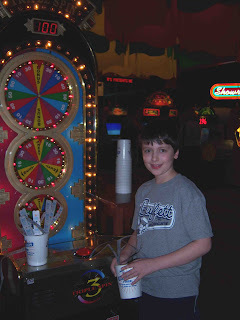 She loved Skee-Ball. She can't get the balls rolling fast enough to get over the bump so they roll back to her. 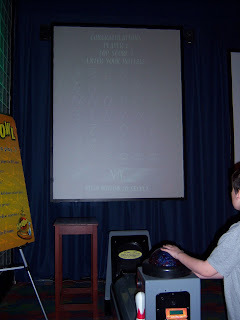 I played 8 balls on the game and won tickets. She played the 9th ball for about 20 minutes. The game resets, but she keeps rolling the ball. 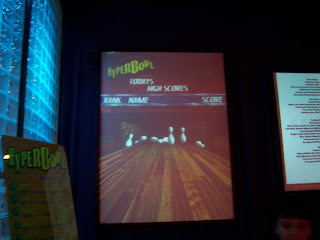 For the grand finale, Nathan chose to play Hyper Bowl. 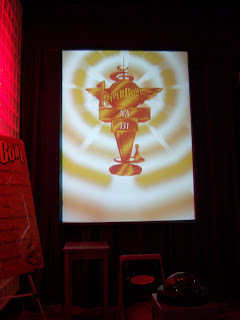 The 'bowling ball' is in a pedestal and you keep rolling it to direct the virtual ball on the screen. You can play all these wild courses. I think his was jungle. Nathan got the 2nd highest score for the day. 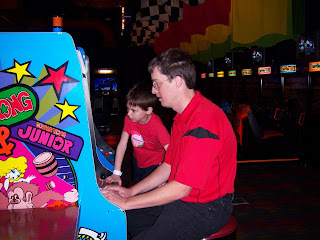 Andrew helped him put his name in for the high scores. Way to go Nathan! !